On last weekend’s Manifesting Excellence call there were questions submitted by someone looking to attract a job which included dealing with fears and challenges she was working through. One of the dilemmas she was having was an internal conflict in believing that if she had a job with job satisfaction, she wouldn’t have money, and vice versa. How would you deal with this conflict? - Can I have a successful career AND a successful marriage/relationship? – Can I have independence AND a fantastic and amazing relationship? – Can I have someone that I am deeply attracted to AND who is good for me? This was towards the end of the call and if you’d like to access it via Manifesting Excellence you can do so by clicking here. When you have an internal conflict between two (or more) things, you are creating a dichotomy – a split – in how you see things about what is possible and what isn’t. That split creates boundaries between the two things that you want. When you decide to do something, do it. Don’t split your energy over it. When you split your energy over something you are diluting your resources in the manifestation and the inspiration to it. When you start to SEE something, you start to make it happen. When you see a split in what is possible, or see it as impossible, it’s harder to create it, unless you happen to take your attention off the conflict (/resistance) and allow in what you want. If you’d like to get access to the Manifesting Excellence call that covered this and much more click here. At the weekend I received an email from a former client of mine, Tiffany Kay. Last year, we worked on various areas of her life, including relationships. I knew the dynamics that were in play and offered specific advice and processes (as well as those that she would create for herself too) that she could use which we would interact about in our sessions. “Relationships had always been a challenging area for me. I know that I always had high expectations that the “right” relationship could be deeply inspiring, fulfilling and supportive, I just wasn’t able to manifest the quality of experience I was looking for. I discovered the Law of Attraction through the work of Gill Edwards, which led me to study the teachings of Abraham. Although this was enlightening and changed my whole perspective on life, I couldn’t seem to apply it in practice. There still seemed to be something missing, I just didn’t know what “it” was until I connected with Hemal Radia via Facebook. I was regularly inspired by Hemal’s posts and particularly how he helped to clarify the Law of Attraction principles an in easy (and often effortless) way. This led me to contact Hemal about his one-to-one service and we worked together for a number of months to help me to apply the principles of creation and manifestation to my life. I found Hemal’s insights to be incredibly beneficial. 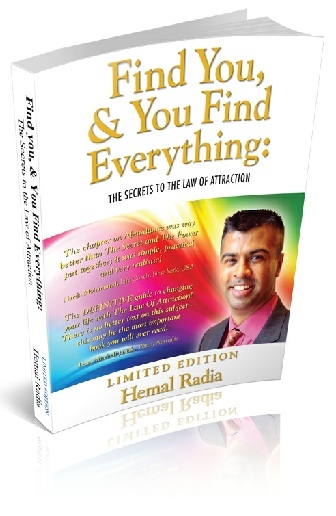 I could take a particular experience and work through it with Hemal’s guidance to really understand how the mechanics of the Law of Attraction meant that I was not lining myself up with what I wanted. One of the most significant revelations for me was the realisation that what was missing from my relationships was me. I came to understand that I was not creating the relationship I wanted, I was creating the version of me that would be living the inspired relationship. That’s why Hemal’s book “Find You, And You Find Everything” is so aptly titled. For the next few months, I focused all of my energy on developing the type of inner relationship that would allow the external partnership to manifest. I treated myself with the love, kindness and respect that I would want with a partner. My Saturday nights became my own “date night”. I would stay in and treat myself to a DVD or a hot candlelit bath or something else that felt indulgent. After years of dreading Saturday nights, they became the most special time of the week for me. On my birthday in June last year, after another near miss relationship had painfully and abruptly ended, I made a decision that I would no longer settle for anything but my soulmate and I set an intention that I was going to meet him over the next twelve months, before my 40th birthday. I enlisted the support of my best friends as external monitors and gave them permission to challenge me if they felt that I was doing anything to distract myself or that wasn’t in my highest and best interests and aligned with meeting “The One”. I wrote out a “spec” describing in detail what my future husband would be like. I have a beautiful box that my friend gave me called “My magical creation box” and I put my wish list in there. Pretty soon, I started to notice changes in my life. I would see couples out for a walk and holding hands and kissing and my heart would leap with joy. I went to bed at night and would dream of my future husband. I reached the point when the anticipation of my lover-to-be felt as real and exciting as if he had actually shown up! As part of my intention-setting and following a suggestion from my best friend, I signed up to an online dating service. For me at that time, it was purely part of putting the intention out there. I wasn’t “expecting” an instant result, but I was to get to be pleasantly surprised. On the first day of my membership, I got an ice-breaker email from a guy on the site. We exchanged emails and he seemed great. Due to logistics and childcare, it took us about 6 weeks to get together and meet up. I liked him immediately but I found myself holding back and not wanting to “rush into things”. On our third date something really bizarre happened. I was sitting opposite him having a drink and this voice behind me, clear as day, said “You really like him, more than you think”. I turned round to see who had said it and as you can probably guess, there was no one there! It was my inner guidance speaking to me. When I reflected on what was holding me back, I realised I didn’t want to give up my special Saturday nights. I found that hilarious. Now I had actually “man-ifested” what I wanted, I hadn’t updated my model of how much fun shared Saturday nights could be. Things progressed really quickly after that and within a couple of weeks we were discussing moving in together. When you find someone who is completely easy to be with and totally compatible, you just know that it is right and it just seems like the inevitable next step. Our conversation moved quickly onto marriage, we got engaged just a few weeks later. Tim and I are now planning our wedding for 26 August. In her new book, Tiffany shares the secrets that she learnt along the way, not just from her own experiences but with her clients too. She has recently entered this book into the International Next Top Self-Help Author competition. You can find out more about the book and vote for her in the competition at “Love to the Max ~ Creating Inspired Relationships That Last”. Every voter will receive relationship resource goodies worth nearly £100, as well as every vote counting and helping her progress to the next round. Hemal specialises in bringing out the best in his clients and getting them to the results they are wanting. To find out more about working with him and to book, go to Work One-to-One with Hemal. You are very, very good at what you do. Great insight, great wisdom & delivery that creates ah-ha moments. I really appreciate the gift of it Hemal. So much appreciation coming to you right now from me. For those of you who haven’t downloaded the audio of the recent “Making 2010 Great For YOU!” teleseminar, you can do so here! This event was very popular and HUGELY appreciated, as you will see. There is content at the start about making this a great year for you, followed by insights to questions submitted. It was scheduled for an hour and ended up being two hours because there were so many questions and interactions on it! There is a lot of information here and great answers to some great questions. And it’s a FREE audio to download. I love the way you are so effortless when you talk about the Law of Attraction, unlike so many other speakers who almost make it sound like something incomprehensible … You are doing much good Hemal! … and I feel really blessed to have connected with you here. The content, which I always find really valuable because even though it is stuff that I mostly know (on a deeper level) … again, you simplify it and make it so easy to apply. information and you’re hitting on so many areas that resonate here. Your presentation was great last time and it’s even better this time. - How do I manifest loads of money when I have never experienced it before? How do I stop feeling discouraged when I compare myself to others successes in manifesting? - What do I do when I feel my soulmate and twin flame is with another? - I have used goal setting in the past and at times it has worked and at other times not. Can you please guide me on this and on staying positive? - I know it’s best to think only of the present moment -“the Now” – but how do I focus and be positive as I continue to endure several simultaneous and overwhelming life-changing situations this year? - What if we attract something which is contrary to the lessons we may have chosen to learn. eg, what if our path is to learn to be poor to serve the poor, but we want to be comfortable financially? - What do you do about negative people bombarding your life? They seem to be all around and pulling you down. - What if what you would like to manifest is possible but it seems “mountains will have to move out of the way” or a miracle occur for it to happen? Still keep believing? - I am looking to meet a partner that I can share my world with as well as start a family. I have been dating and continue to meet men that show interest and similar goals but when I express my interest in a relationship things take a different direction. What can I do? - As a result of some things that have happened, I doubt I will ever be as successful and get as much money now. I fear I will become lonely, lose my friends, and that they are judging me. That they have views about me that I won’t like. Is there something that can be done? Thank you Hemal for valuable conversation! 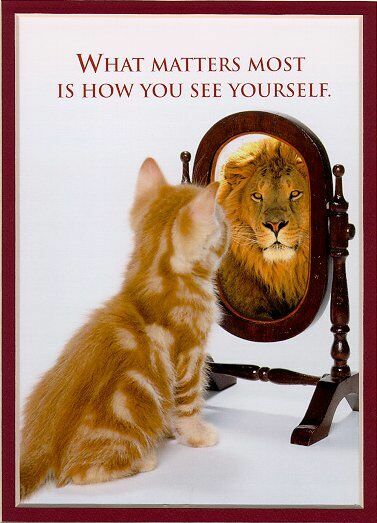 You are extraordinary person! Please, keep walking your special way! Have fantastic 2010 year! ! This wallpaper was created in collaboration with good friends; Jessie Smith from Storykraft Kreative and I worked on the design and the original photo was from Fawny Frost. To download it, right click on the appropriate link below and “Save Target/Link As” and save it to your computer. You are very welcome to share this post with your friends. Here is a video which Emma Turner of 7thSpace surprised me with earlier. It has scenic pictures with beautiful music and gives suggestions on questions for tomorrow’s teleseminar. If you are reading this in an email then CLICK HERE to go to this post on the blog and view the video. When we think of something not happening or not being possible, what do we do? We tend not to think of it happening or it not turning out how we want to because of our beliefs about it (our beliefs act like switches as to whether we consider the notion of something happening or not), or we have a fear about the situation. How about allowing yourself to daydream about how nice it would be if it was to happen instead? You don’t have to say it ‘will‘ happen (because that can be uncomfortable for some people because they do not fully believe it at the time), but ALLOW YOURSELF TO CONSIDER THE POSSIBILITY. Just allow yourself to think of it and feel from it and daydream, just CONSIDER THE POSSIBILITY. As you do that, it will get stronger and stronger. Allow yourself to feel the sensations of how it would be, without putting pressure on yourself for it to ‘have to’ happen. By you experiencing these sensations without doubting or ‘thinking’ – i.e. without contradicting, these feelings will grow and build and you will start to see clues of it happening. What happens for most people is because they do not believe that what they want can happen they disregard the possibility right away and short circuit their flow so to speak, so they don’t even give themselves a chance. It’s about being gentle and kind with yourself. Allow yourself to entertain the possibility of what you would like just for the thought of it, just for the fun of it. That takes away the pressure of it ‘having to’ happen, and you are doing this for fun. And as you do that your thoughts about it will build and grow and get stronger. As this happens you will start to get ideas and physical manifestations. These will act as a reflection of your building consciousness about this and you will also feel more and more certain about it – which means your expectation and belief will grow and your pull for what you want will be even greater and greater. The thing most people do is they let their doubts and fears come in and short circuit their natural and infinite and abundant universal flow. There is no limit to the universal energy the Universe is sending you in every moment – and it is all around you – it’s about you letting it in and allowing it. - If my life could turn out wonderfully, how would it be? – If things went right, what would it be like? – What if things DO work out for me, how would it be? possibilities (there is a place in life for them too, but here we are talking about lining up your energy). What many do is they expect themselves to rationally and logically know HOW they will get what they want. That is what we have been taught as we have grown up. We’ve been taught to have a plan and a structure and have actions listed out. Many people even teach the Law of Attraction with this. That is all very well, I would encourage people to use a vibrational aspect with this. We are in a Universe that is not just physically full of logic and actions, but also non-physical and spiritual and there is far more that is unseen and we feel from the heart than what we can physically see. There are dormant capabilities within you and around you. Do you remember a time when things just ‘clicked’? When they just fell into place and you weren’t ‘thinking’ too much and just ‘being’? And you weren’t evaluating, you were experiencing, and things were just taking care of themselves. THAT’S an example of when you had your energy aligned. You may not have been aware of how you did it consciously, but you were in a place where you were in the moment and things were happening. I hear pretty much everyday from people who have read something I have written or a teleseminar they have heard or in working with me and it has inspired them to think of something differently (and it is a pleasure and an honour to be on the receiving end of it!) and that has brought into their life all sorts of things. I am hearing these stories everyday and throughout the day and this is happening around you and you will see more and more of it. There’s only expansion and growth, you – nor anyone else – do not grow smaller. You will experience more and more of these things. Regarding the above interaction, it was with a Law of Attraction coach who is very successful at what she does. From my perspective I just happened to suggest some tweaks and it has changed how she sees things and what has come into her life. If you’d like to know more about working one-to-one with me you can do so here: Working One-to-One with Hemal.